The Arkansas Archeological Survey has 10 research stations across the state. From its inception, this structure was intended to provide local communities across Arkansas with access to professional archeologists who are knowledgeable and interested in the history and archeology of the state’s diverse regions. 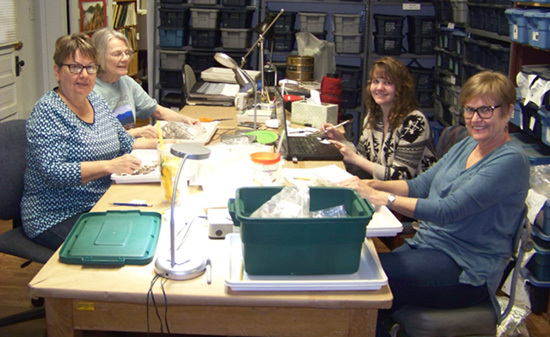 One of the key ways that Survey archeologists engage with people interested in local archeology is through our participation in the chapters of the Arkansas Archeological Society. Local chapters of the Society meet in Hot Springs, Fort Smith, Monticello, Fayetteville, Magnolia, Jonesboro, and Russellville, with new chapters forming this year in Mountain Home and Little Rock. Chapter activities include hosting speakers to present public talks at the monthly meetings and periodic Archeology Days and Artifact ID events. Society and chapter members can also get involved with archeology in their area by working with professional archeologists as volunteers on field projects or in archeology labs at the Survey research stations. This collaboration peaks during the annual “Society Dig” (see “Arkansas’s “Society Dig”: Volunteers & Professionals Working Side by Side to Learn about the Past”), but other opportunities to learn and participate in archeology are available to Society and chapter members throughout the year. Survey archeologists give talks to numerous groups around our communities, sharing the results of our research. We work with cities, museums, and civic groups on many different history and heritage projects, often assisted by local volunteers. One example is the partnership between the Survey and the 4-H described in “Partnering for Preservation and Education: 4-H and the Arkansas Archeological Survey”. Survey archeologists advise city officials on archeological sites and cemeteries on city property, provide information about local archeology and history for interpretive signs, and assist groups in preservation efforts. Survey archeologists’ work with local groups on projects such as the Camden Expedition Scenic Byway is discussed in “Civil War Heritage Tourism”. The Survey’s research stations – and the archeologists who work there – provide an important resource for local communities across our state. We encourage you to contact us with your questions about artifacts or concerns about site preservation, and we invite you to the next meeting of one of the Society chapters! 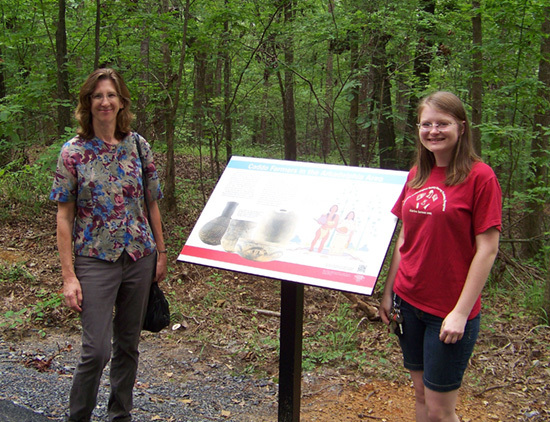 Mary Beth Trubitt and Vanessa Hanvey assisted the City of Arkadelphia to create interpretive signs for the DeSoto Bluff Trail. 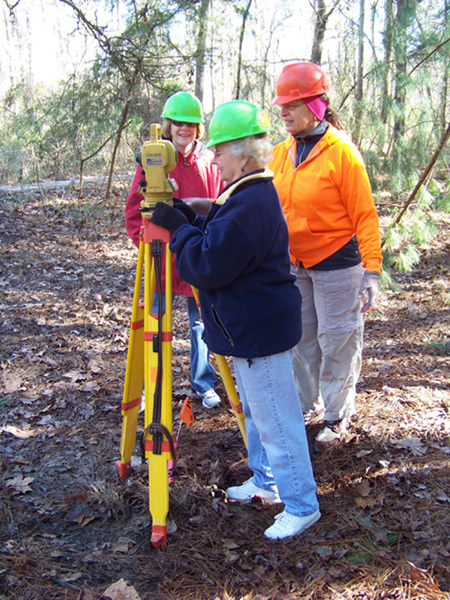 Members of the Ouachita Chapter learned to use a total station while mapping a site. 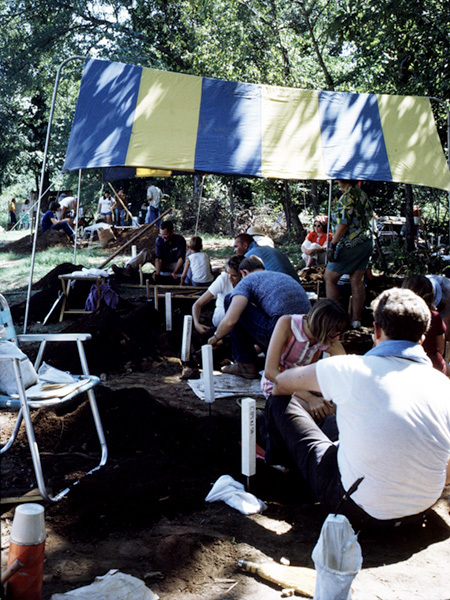 Volunteers and professionals worked together at the 1971 Society Dig at a site in Pulaski County. Archeology Lab Day at the Survey’s HSU research station. 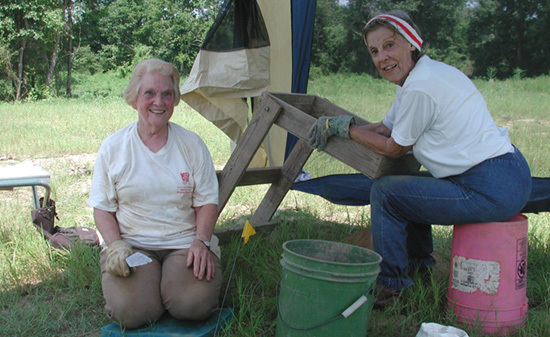 Mildred Grissom and Elaine Smith (Ouachita Chapter) assisted the Survey’s HSU research station with archeological testing at a site in Hot Spring County in 2004.